If you want to be as successful as Jack Welch, Larry Bossidy, or Michael Dell, read their autobiographical advice books, right? Wrong, says Roger Martin in The Opposable Mind. Though following 'best practice' can help in some ways, it also poses a danger: By emulating what a great leader did in a particular situation, you’ll likely be terribly disappointed with your own results. Why? Your situation is different. Instead of focusing on what exceptional leaders do, we need to understand and emulate how they think. 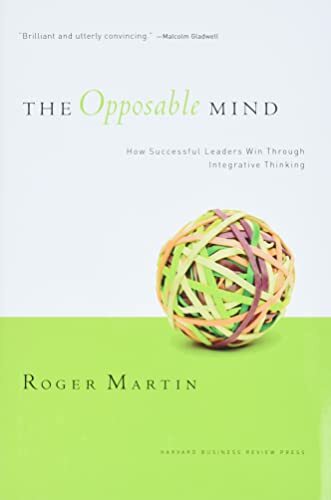 Successful businesspeople engage in what Martin calls integrative thinking creatively resolving the tension in opposing models by forming entirely new and superior ones. Drawing on stories of leaders as diverse as AG Lafley of Procter & Gamble, Meg Whitman of eBay, Victoria Hale of the Institute for One World Health, and Nandan Nilekani of Infosys, Martin shows how integrative thinkers are relentlessly diagnosing and synthesizing by asking probing questions including What are the causal relationships at work here?? and What are the implied trade-offs?? Roger Martin is dean of the Rotman School of Management at the University of Toronto and a professor of strategic management at Rotman. Formerly, he was a director of Monitor Company, a global strategy consultancy based in Cambridge, Massachusetts. He has authored numerous articles for leading business publications including Harvard Business Review, Business Week, Barron’s, and Fast Company. 1. 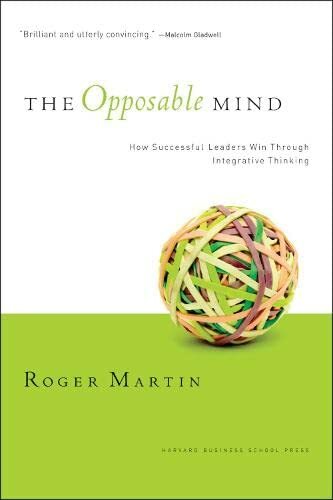 The Opposable Mind: How Successful Leaders Win Through Integrative Thinking Martin, Roger L.